Oh my goodness! I cannot even tell you how many times I have shown the video and pictures that you sent of Nene to my family today. Thank you SO much for sending the pictures and video! We missed her, but we knew she was having a fantastic time at your house! I am SO very happy for “Miss Ney”. I would have never thought she would come this far, and it is such a testament to the amazing connection you have with animals. Nene loved you at first sight! I can ever thank you enough for all the work you have done with her and the way you care for and spoil our little girl! It makes me tear up to see her play with other dogs. And to see her all wrapped up and snoozing next to a pal is the icing on the cake! You are an angel, and we will always be so grateful. I am thrilled that Nene got to have a fun weekend of being spoiled and playing with other puppies! I know she will be asking to go back to your house very soon! After seeing such positive reviews for Bay Area Pet Pals online, we decided to try them out for cat-sitting when we went on vacation. Lynda came over to meet our kitty and took notes on everything we said. Lynda is extremely organized, thorough, and prepared, which is extremely reassuring! Lynda’s helper Ryland has looked after our cat twice this summer and he’s been great too! We really appreciate the daily text messages (and sometimes photos) he and Lynda have sent. 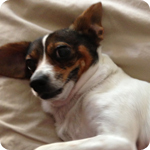 Bay Area Pet Pals offers exceptional care and service for a very reasonable price. Highly recommend! 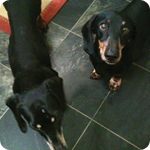 We have two dachshunds with their own issues. One is afraid of people, the other can get aggressive toward other dogs. Walking them can be a challenge because of the double whammy. Lynda and Lars have been great in being able to deal with their quarks. Lynda’s service is awesome. She’s super reliable and the text message confirmation is the best! One time we left the dog door open and rather than just leaving them in the laundry room like usual, they called us up to find out if they should close it or leave it as is. Good common sense and diligence is always a great thing and Lynda’s service has both! 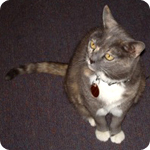 Bay Area Pet Pals is consistent and provides excellent care. 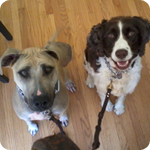 We have had them as our walkers for over six months. Lynda and every walker is thoughtful and very caring both with the dogs and our needs. They are flexible for last minute dinner dates and will come for extra TLC as needed. After much hesitation we finally decided to find a dog walker for our Toy Australian Shepherd, Millie. Lynda the owner of Bay Area Pet Pals is so wonderful! She first set an appointment to come to our home and meet Millie and review with us the services they offer. Now Millie gets a walk and also play time several days a week, and of course she is happier and more relaxed when we get home from work. 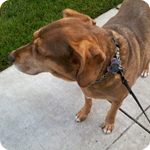 I would highly recommend you contact Bay Area Pet Pals if you are considering a dog walker as they are the best! The beauty of Lynda and her team is that I trust them completely with the house and dogs, can almost set my watch by the confirmation text I get from her each afternoon, and know that if any issues arise, she will get in touch with me (sometimes by several methods) immediately. 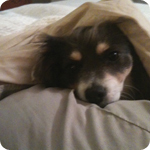 Example: I got a text message and phone call on a day where our puppy was *obviously* having tummy troubles. Poor stinky guy… They also alerted us when the PG&E meter reader was at the house on an off-day. She has also been a great reference for training tips, since our second one isn’t nearly as smart as the first one was (but so “lovey”). We love Lynda! I read the reviews here before contacting her. She came to our house, met our dog, who she would be walking, but also met the cats and it was apparent right away that she LOVES animals. So, it has been two weeks since she started walking our Min Pin, who is not an easy guy at first, until he feels comfortable with you. She has been patient, kind and loving. Today was his first group outing and she sent me video tonight and Chepe looked like he was having a BLAST! Also, she went above and beyond when she called both my husband and I (after she couldn’t get a hold of me) because the wind had blown the kitchen door closed and our oh so dramatic Loki was locked in the kitchen screaming to be let out. She asked if there was a reason he was in there or if she could let him out. This just goes to show that she truly cares about all of the critters in the house, when someone could have easily turned a blind eye to his situation. 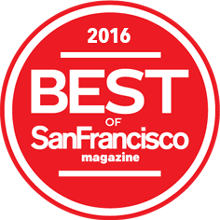 We LOVE Bay Area Pet Pals! I recently adopted a dog from the Humane Society and quickly realized that with my work schedule, I was going to need to find someone trustworthy to check in on her during the day. I reached out to Bay Area Pet Pals via their website and Lynda called me back within the hour. We then made an appointment for her to come over to meet Bailey and learn more about her likes, dislikes, fears etc. Bailey was a little suspicious at first, but Lynda was patient at winning her over. Now she can’t wait to see Lynda coming up the walk knowing she will receive lots of attention, hugs, kisses and best of all, treats!! Lynda always goes above and beyond and even asked if she could take Bailey to the dog park so she could run around and socialize. 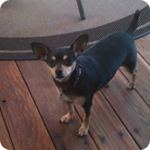 I have also used Bay Area Pet Pals for overnights and again, Lynda went above and beyond what I was expecting. Lynda asked if she could bring Bailey over to her house to hang out so she wouldn’t be by herself all day. Bailey quickly made a new BFF in one of Lynda’s dogs and Bailey got to hang out and play all weekend. Needless to say, I was so relieved that I didn’t have to think about my dog sitting all by herself in an empty house for the majority of my absence. 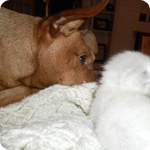 Lynda is also wonderful about sending pictures, videos, and updates to you when she visits your pet. 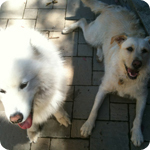 I found Bay Area Pet Pals on Yelp with good ratings, and decided to try them out. 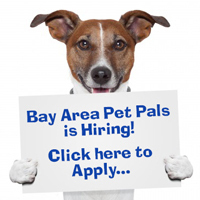 Lynda/Bay Area Pet Pals is fantastic. 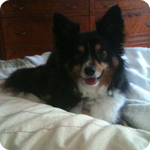 Lynda has kept our little dog a couple of times, and our dog felt very comfortable with Lynda. She took good care of her, and even sent us pictures while we were gone. We felt much better knowing our “child” was being well taken care of, and our minds were eased. Lynda runs a fantastic pet sitting service. 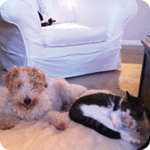 She has been taking care of my fox terrier and 2 cats for the last four months, and during numerous business trips. Although initially I only asked her to walk the dog morning and night, she generously took him into her home during the days I was away. And STILL drove all the way back to my apartment daily to care for the cats. She’s professional, loves animals (and they love her), and never flakes out or forgets to check on anyone, as pet sitters have done in the past. I certainly give her 5 stars! If you would like to send us your personal testimonial, please Contact Us. We appreciate your feedback and look forward to your comments.